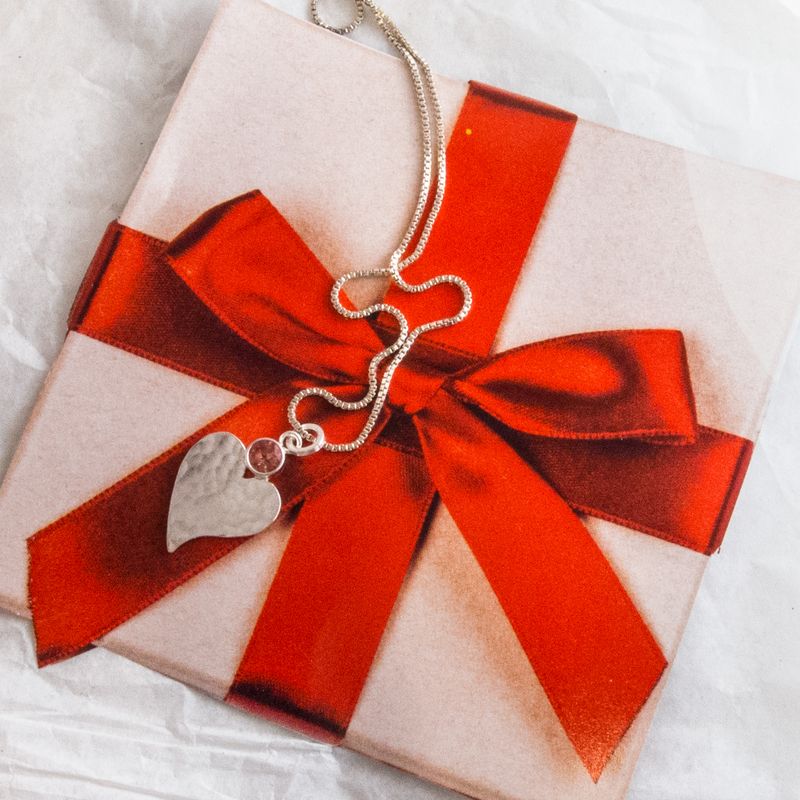 These Heart of Mine 2019 Valentine’s Day heart pendants and necklace are as unique as your love. 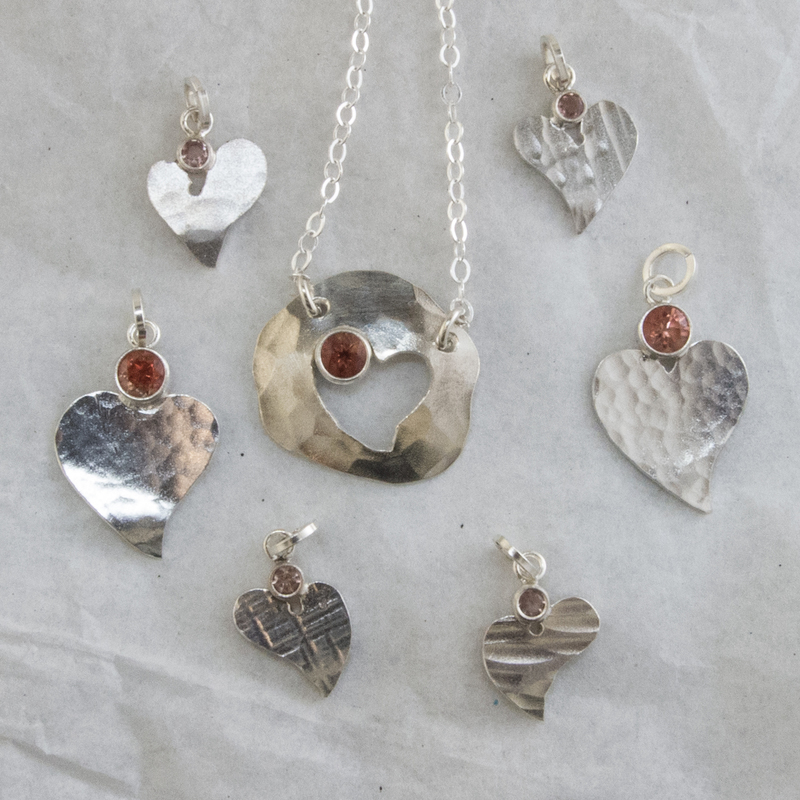 Each year Elyse Douglas designs a special piece to celebrate Valentine’s Day and they are available in limited quantities.  Get yours before they are gone for good! 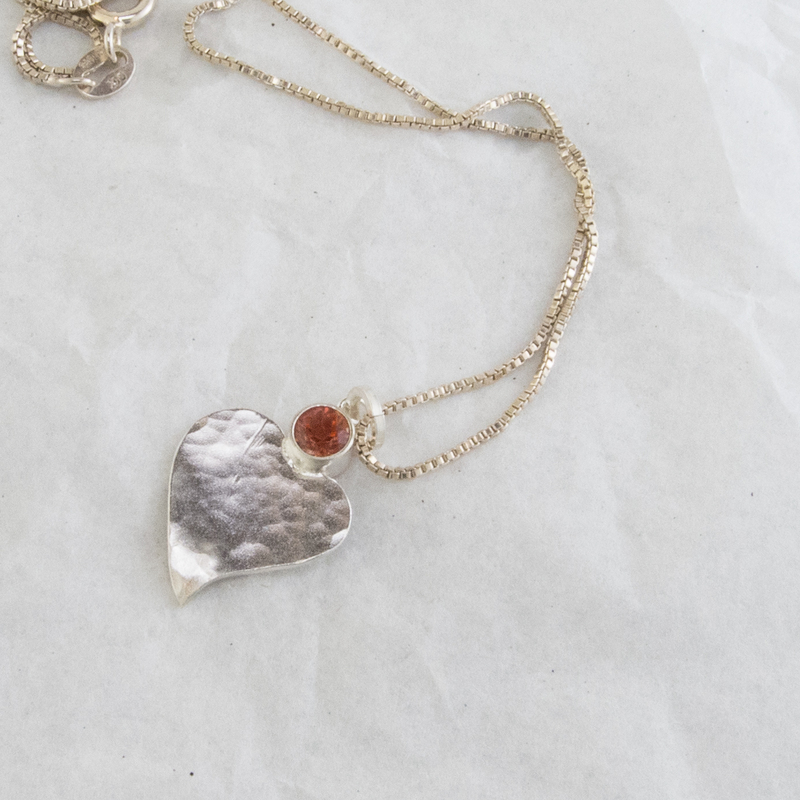 These necklaces are hand made and hand textured, making each one slightly different from the next, however everyone of our Valentine heart necklaces will come with a champagne 3 mm Oregon Sunstone or a 4 mm Oregon Sunstone. You have a choice between three lovely designs, textures are random. 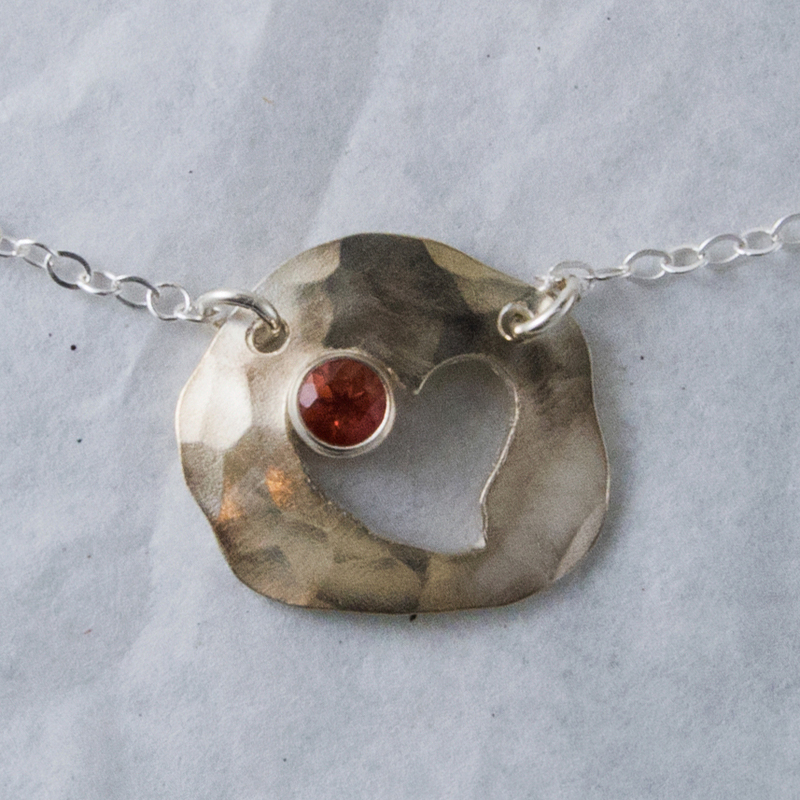 Small: features a hand cut and textured heart about half inch in length with a 3 mm champagne sunstone set at the base of the bezel. 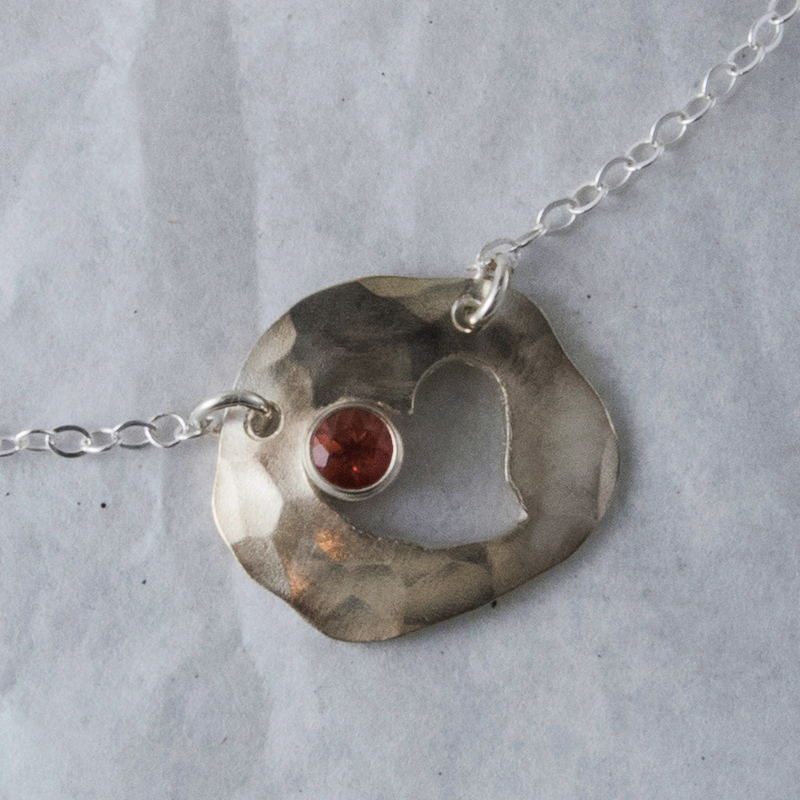 Medium: Features a hand cut and textured heart about 3/4 inch in length with a 4 mm peach sunstone set at the base of the bezel. 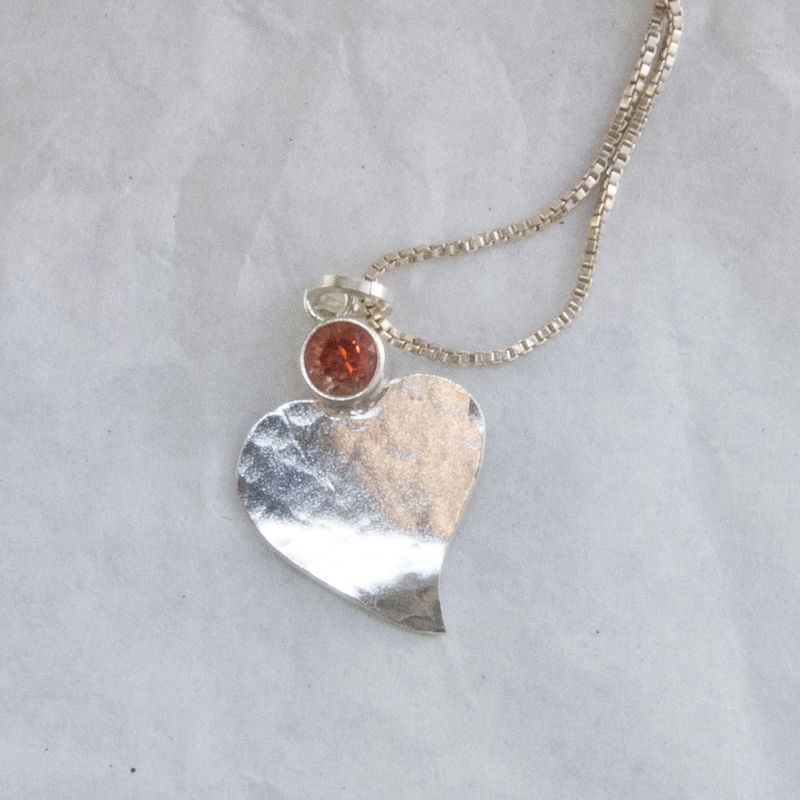 Large: Features a hand cut and textured disk with a cut out heart about an inch in length with a 4 mm peach sunstone set inside the heart. 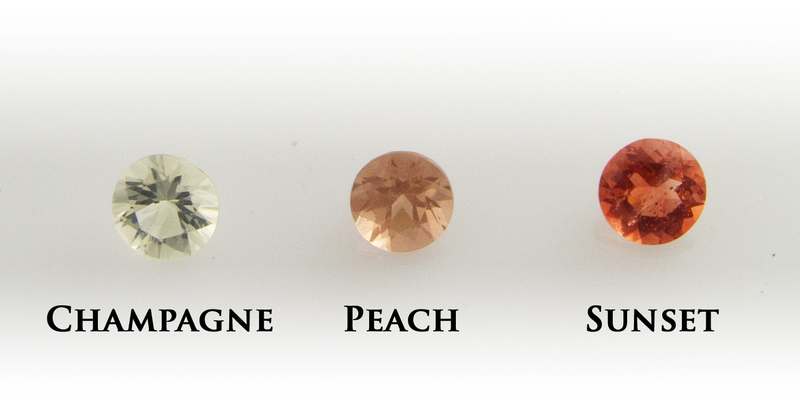 Oregon Sunstones are 100% natural and never treated, because of this, there is a lot of natural variation in color. 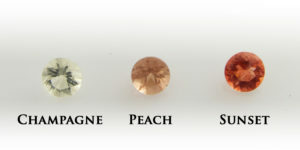 Your Oregon Sunstone may vary slightly in color from the Oregon Sunstones pictured above.  Champagne- Mostly colorless with hints of yellow, pink or green. Peach- Various shades of pink to orange, with or without Schiller. Sunset- Bright and fiery orange to red tones. Not sure of the length you would like, please check the Necklace & Chain Reference Guide Here.